The elimination of top leaders has come as blessing in disguise for Zakir Musa. 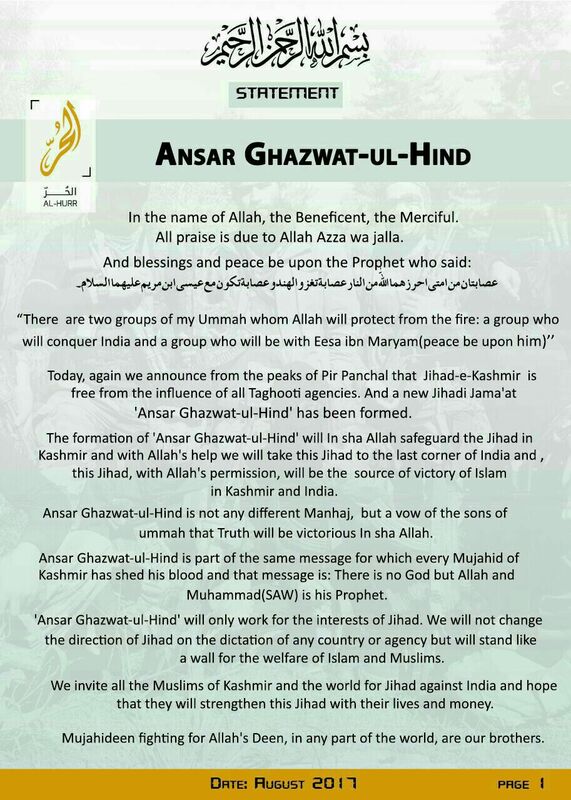 Sensing the vaccum at the top Zakir Musa outfit has quickly moved to fill the gap. 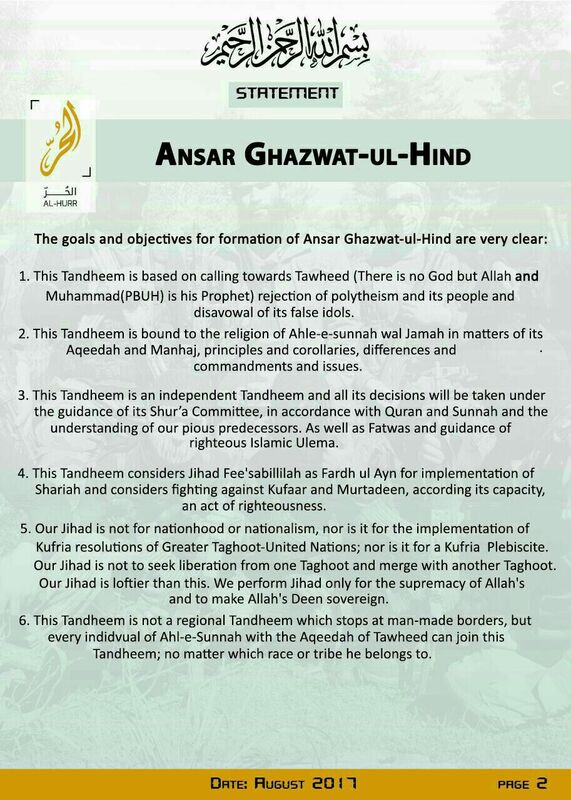 Ansar Ghazwat ul Hind, who is in the process of establishing Caliphate in Kashmir has released its ideology with an aim to increase its mass base. It is meant to strike religious chords in the hearts of would-be militants and plans to change the course of militancy in Kasmir from Azadi to Caliphate. 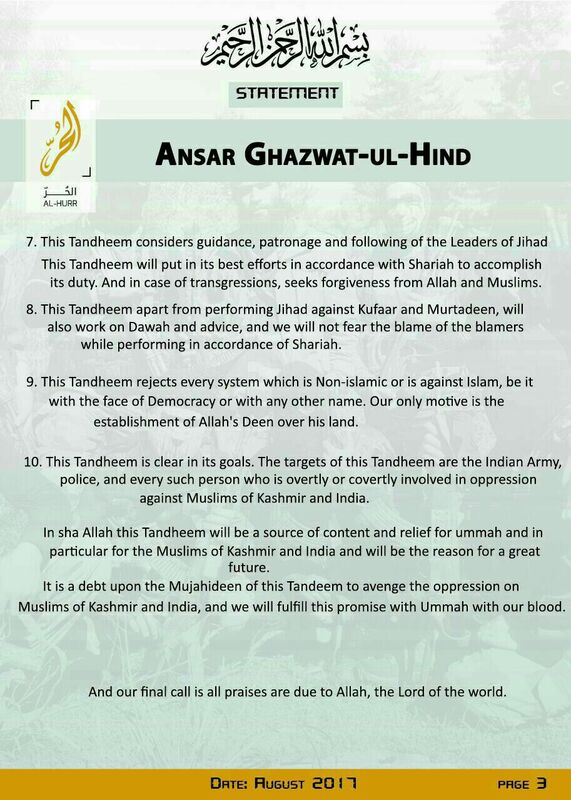 WHY IS MILITANT OUTFIT HIZBUL SEEKING FORGIVENESS FOR SAMEER TIGER?